Good first day of the Premier League morning everyone. Caught up in the festivities and excitement of the first day of EPL action, we bring you a list of the most iconic players to wear the numbers 1 through 20 in the English Premier League. The rules are simple! We decided to pick just one player for each number; a tough task, especially when it came to the more popular high single-digit figures such as 7, 8 and 9. Nonetheless, we did it, but before we begin we would like to mention a few footballers we loved to watch that are not on this list. These guys are not on the list because of one simple reason: their iconic shirt numbers are outside the 1-20 range. 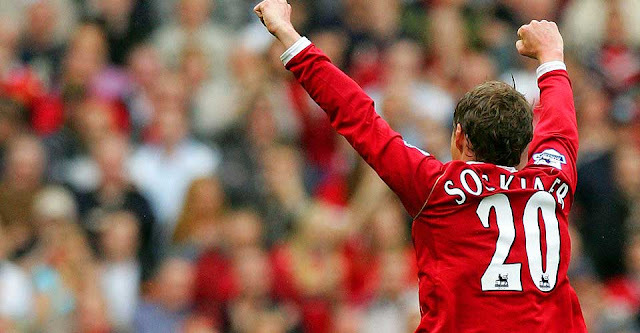 After all, there are plenty of incredible Premier League players who elected for the less traditional higher digits. In the mid 20's range we saw three particular footballers that brought great presence to the EPL in Liverpool's #23 Jamie Carragher, Chelsea's #25 Gianfranco Zola and of course the still active #26 John Terry. Carlos Tevez wore #32 and made it his own, as did Tottenham's German legendary forward Jürgen Klinsmann with #33. And obviously it would be near impossible to ignore Manchester City's Ivorian midfield genius Yaya Toure who's #42 stood out from all other footballers who dared to select a number this high. After all, unlike the Italian Serie A or the German Bundesliga, the English leagues are not known to have squad numbers all over the map and the higher digits are usually assigned to reserve players. But without going too much into detail of iconic players that wore or currently wear numbers that are outside of the first twenty, let's get to why we are here in the first place; the list of the most iconic EPL players to wear the numbers 1 through 20. Although this one may have seemed tough at first since almost every goalkeeper wears the number 1, once it came down to selecting essentially the most iconic goalkeeper in the history of the EPL the choice was unanimous and in reality quite simple. 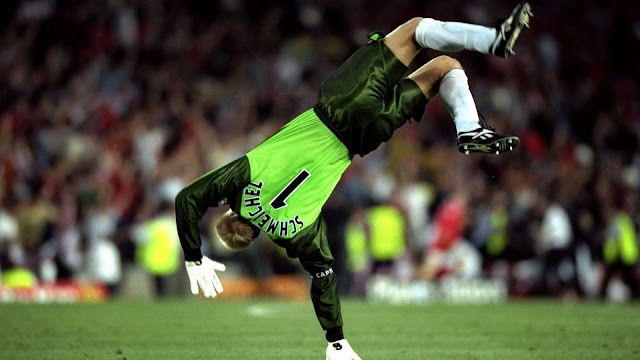 Danish legendary shot stopper Peter Schmeichel spent eight years with Manchester United and is undoubtedly the most iconic keeper the league had ever seen. Another footballer of the Red Devil variety, the one-club man Gary Neville is also by far the most popular #2 in the history of the league. 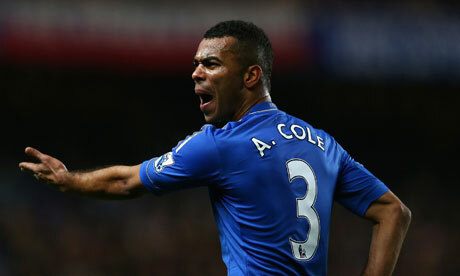 Cole wore the number three pretty much throughout his career both with club and country and although others such as Denis Irwin for instance have made the digit pretty popular, Ashley Cole is our man in this case. The number 4 presented us with the first dilemma. A tough decision between Frenchman Patrick Vieira and the Spaniard who was eventually picked as the more iconic, Cesc Fàbregas. 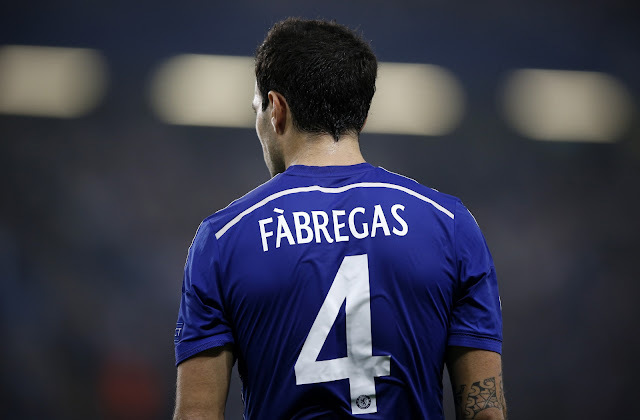 As far as the actual number is concerned, Cesc never gave it up after leaving Arsenal for Barcelona and picked the number right back up when he returned to England with Chelsea. Many famous number 5s have been around in the league, but none as iconic as former England, Leeds United and Manchester United captain Rio Ferdinand. Although Rio didn't always wear the number five, he sure made it his own after joining Manchester United and sporting the digit with the national team. Tony Adams did not wear the number 6 shirt exclusively. As a matter of fact, his more notable jersey number with England was in fact the number five. However, with over 500 appearances with Arsenal and the number 6 on the back of his Gunner shirt, Adams is the most iconic player to ever wear this number in the EPL. This was very likely our toughest decision on the list. After all, how can you ignore the likes of super iconic former Red Devils such as Cristiano Ronaldo and David Beckham. Nonetheless, we here at FootyFair decided to go a different route and put the two pretty-boys aside. 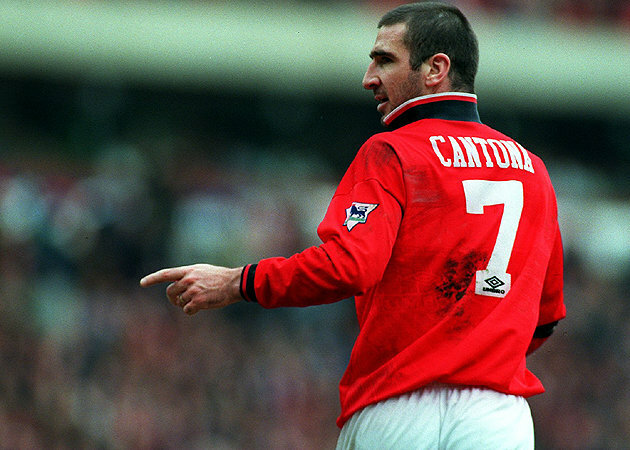 Instead, we went with Eric Cantona, and while he is as well a former Manchester United legend, for some reason the word "iconic" really fits the bill for this crazed Frenchman and his time in the English Premier League. 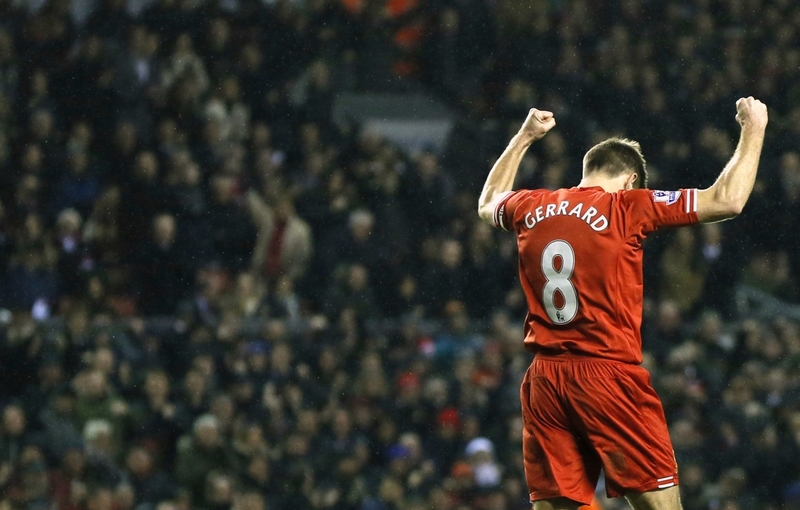 Of course we considered Frankie and Ian, but as much as we love Lampard and Wright there is very little doubt that Liverpool's number 8 is the most legendary footballer to ever wear that number in the EPL. 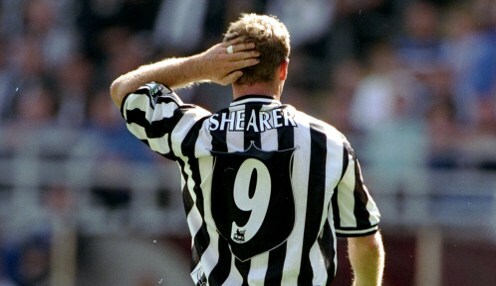 Most would agree with the decision of selecting Alan Shearer as the most popular number 9 in the history of the EPL. But I also understand that his position on this list may be argued and to that I say...I'm a Newcastle United supporter and you would have to kill me before I give this spot away to anyone else! 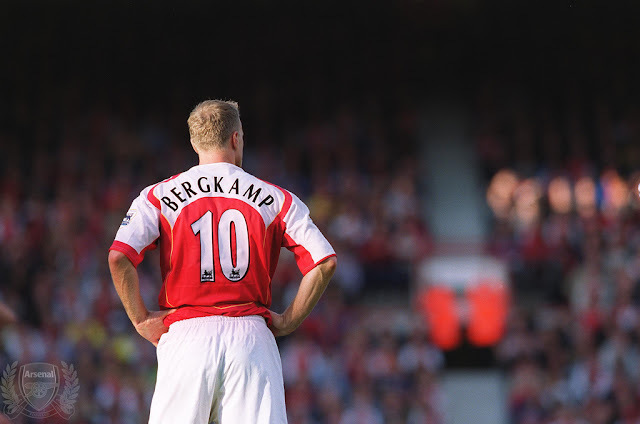 We could probably put together a whole list of iconic number 10s from the EPL, but Dutch striker Dennis Bergkamp would undoubtedly be right at the top. After eleven years with the Gunners there is little argument as to why he makes this list above all others. 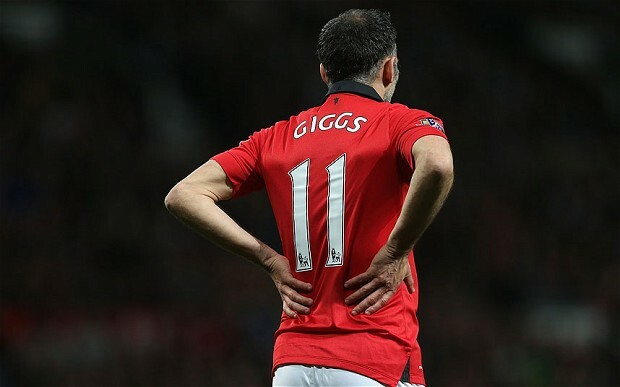 In his fourteen years with Manchester United, Welshman Giggs could very well be in the top 10 of best EPL footballers ever, not to mention the most iconic player to wear the number 11. A legendary one-club man, Ryan Giggs was one of the easiest choices on our list despite many others that have worn the same digits on their shirts throughout the years. 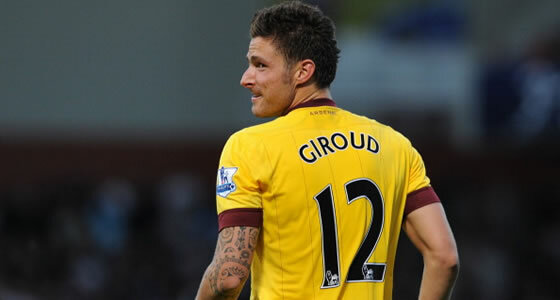 Another number that hasn't been worn by many top EPL players. The likeliest scenario for that is of course the fact that in most countries the number 13 is considered to be an unlucky one, nonetheless, German midfielder Michael Ballack seemed to make it work for him both with club and country and is probably the best EPL player to risk wearing this scary number. 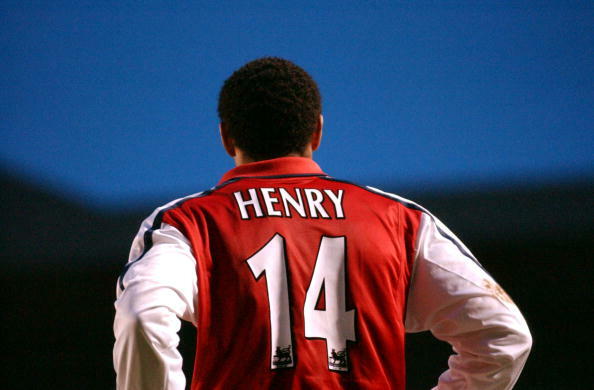 Another no-brainer is the selection of Frenchmen Thierry Henry as the most iconic player to wear the number fourteen. 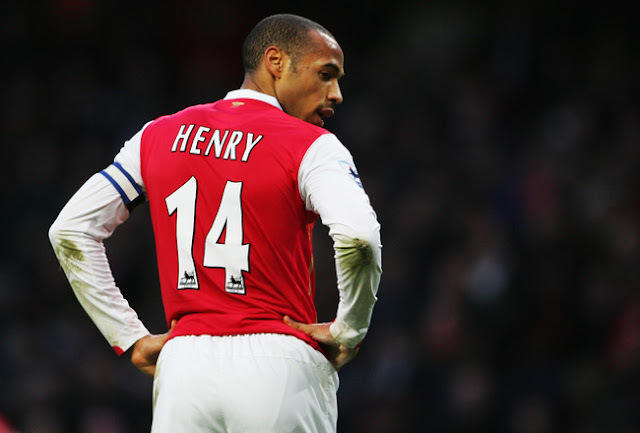 Despite wearing 12 with the French national team, Henry may very well be the most popular #14 in the world and not just the Premier League. 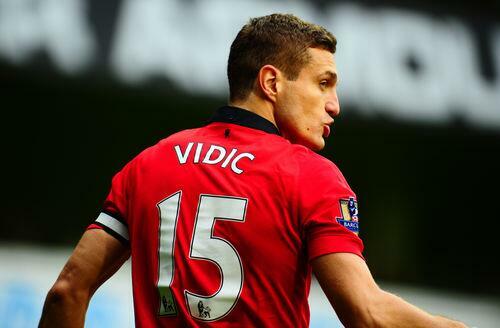 Eight years with Manchester United in the EPL and Vidic has picked up his favorite #15 yet again after leaving for Inter Milan. As we get higher in the double digit jersey numbers the list becomes less of an "iconic" nature, but rather more of who was the best in the league to wear it. Vidic however, very likely belongs both to the iconic and best list of Premier League footballers that have worn the number fifteen. 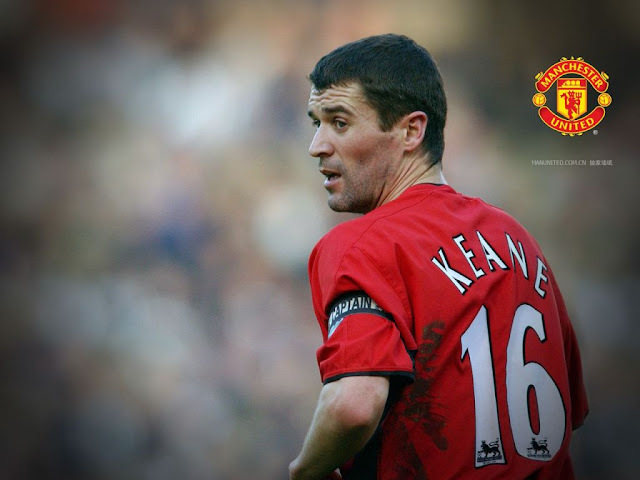 Who would have thought that a number like sixteen would have such an iconic figure as Roy Keane make the shirt number as popular as it was. Young Keane started with the number 6 and even worn it with the Irish national team, but for the Red Devils Roy was 16 and after twelve season at Manchester will likely always be the most popular footballer to wear that number. 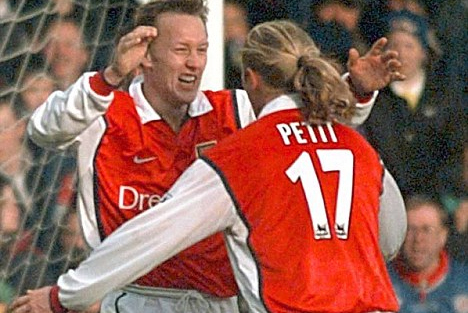 Perhaps the French midfielder would not make this list if he had worn a more "conventional" number on the back of his shirt, but because he elected for the number seventeen and despite just three years with Arsenal and then again with Chelsea Emmanuel Petit was an impact player and probably the best to wear those digits. 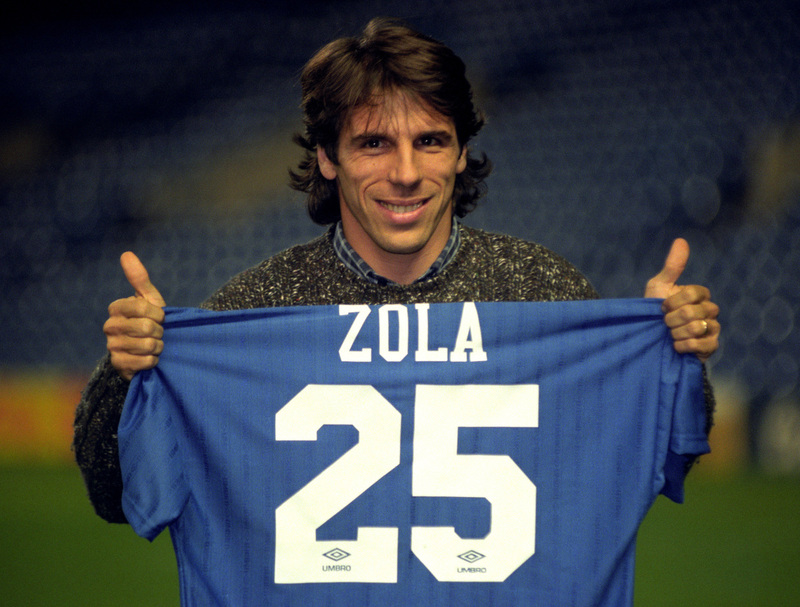 The number itself seemed to be special for Emmanuel as he had worn it with every club he had played for and the French national team as well. Another Red Devil and another easy selection. Although Scholes wore both 18 and 22, he makes this list at 18 because the other is outside of our count. Needless to say, even if the competition at 18 was a bit tougher (which it quite honestly was not) Paul Scholes would still be considered as he is without a doubt an icon in the history of the English Premier League. 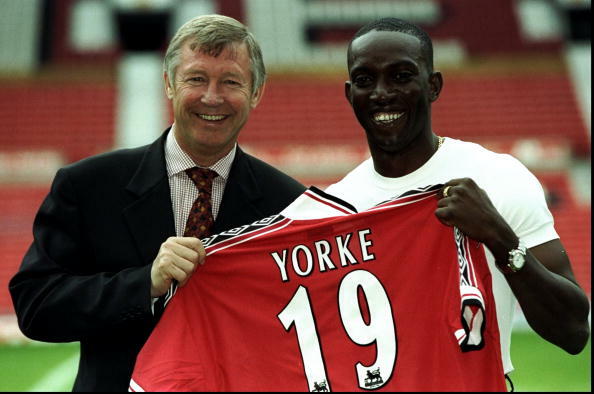 Dwight Yorke is one of the only EPL footballers even worth mentioning for wearing the number 19, but even so, the Trinidad & Tobago international was a popular Premier League footballer. The number itself seems to hold a special place in Yorke's heart as he had worn the same digits both with his national side and numerous other clubs that he had played for. Robin van Persie originally was the first footballer that came to mind as we were making this list, but because he had worn 10 and even 9 with the Dutch national team, we decided to select the Norwegian baby-faced forward Ole Gunnar Solskjær to complete this list. After all, there is no doubt that the kid had a massive impact on the league and his club Manchester United despite having to call his career prematurely.